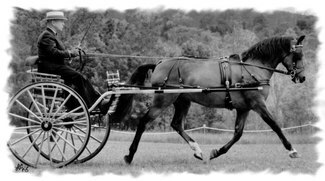 Jeff Morse, Chairman of the American Driving Society Pleasure DRiving Committee and owner/trainer at Green Meads Farm since 1975 will help you and your horse or pony get pointed in the right direction the 2019 driving season. Sign up for a lesson and bring your own horses or use one of our horses. Fee: $65 payable at teh time of your lesson.